IDSync® offers a software package that integrates and synchronizes Marketplace subscription billing information with ConnectWise Manage Agreements. The package, focused on the invoicing needs of the reseller community makes it quick and easy to automatically and directly update ConnectWise Manage Agreements with cost and subscription count data. The real benefit is convenient low cost usage of the Marketplace that is intended to enable on-time invoices and on-time customer payments. In addition to software, a QuickStart service package is available to work with the network admin, install the software, train the admin and create a real example, using actual customer of how to operate the system. 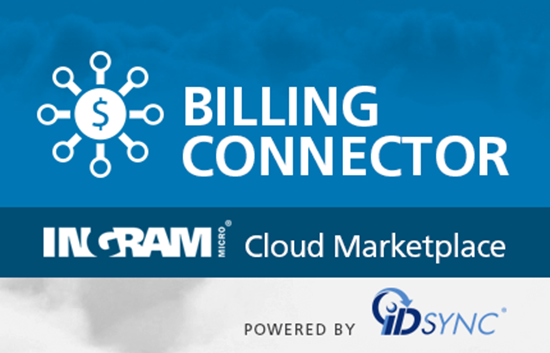 Intended for use by the reseller/service provider, the IDSync® Ingram Micro Marketplace integration is designed to simplify the billing process. It matches Marketplace subscriptions to the corresponding ConnectWise Manage Agreement. Usage info including seat count, cost, provisioning date is downloaded to ConnectWise Manage, hands-free without the need for any operator intervention, turning customer billing into a breeze. ID Sync’s ConnectWise Manage Integration is certified via the ConnectWise Invent Program. If you need assistance with creating API members or integration setup please send a note to Help@ConnectWise.com and the ConnectWise Manage support team can assist. For any other questions with this integration, please contact the ID Sync team directly to resolve any issues.